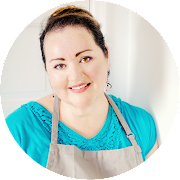 If you follow me on any of my social media channels, you might already be aware that I just spent a long weekend in Sacramento, California for my second attendance of the International Food Bloggers Conference. 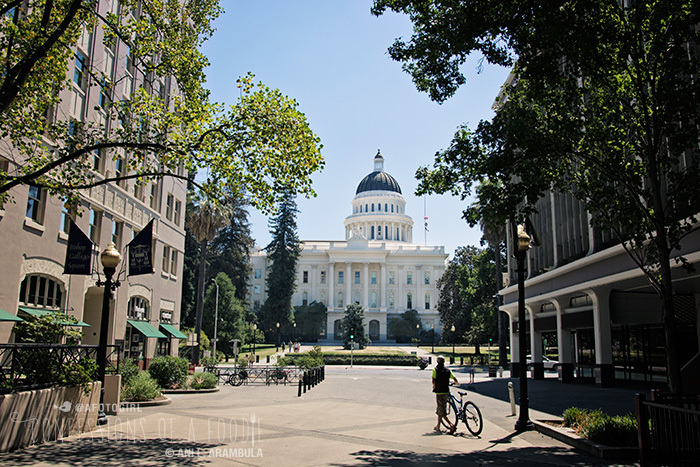 It’s also my second visit to California’s capitol, the last having been more than 15 years ago in which we only spent a little time visiting a few shops in Old Town Sacramento. This trip, however, I’m getting a chance to partake in some of the excellent food and wine that this city, located in the heart of the farm to fork movement, has to offer. Arriving in Downtown Sacramento a day before the conference events were set to kick-off, my friend Mimi (of Mimi Avocado), texted me to say that she, too, arrived early and would I like to meet up for dinner? 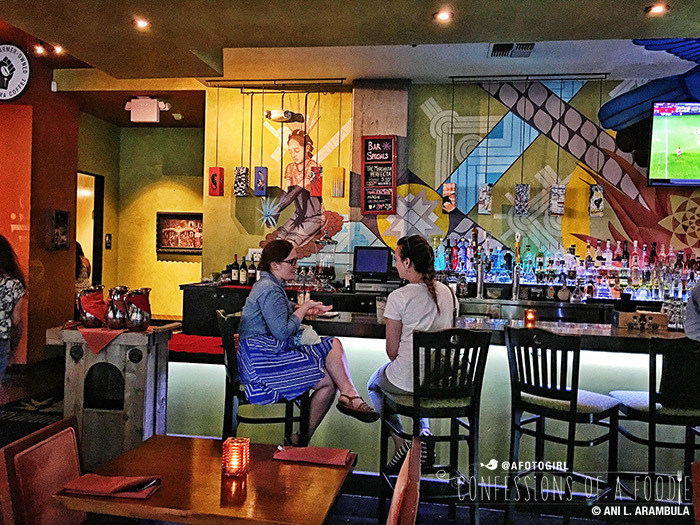 She suggested Tequila Museo Mayahuel, a restaurant that strives to immerse it’s customers in the culture of Mexico through authentic flavors blended with a fresh and modern twist, drinks featuring some of the best tequila, a mezcal bar, art and music. 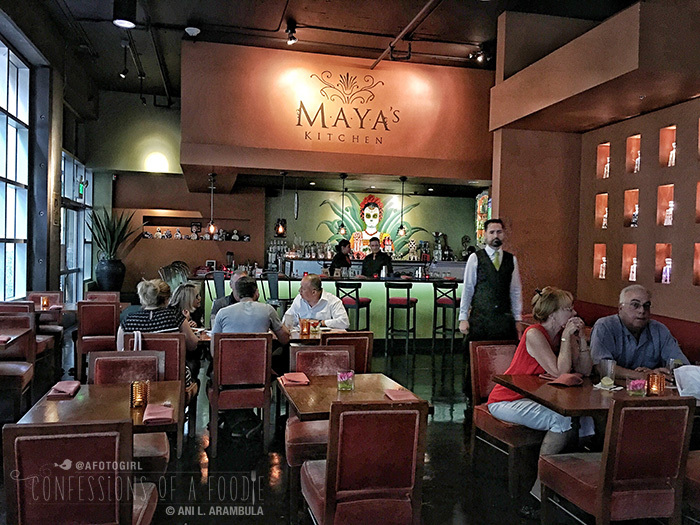 Mayahuel is located on K Street, just a quick stroll around the corner from the Hyatt Regency, our host hotel for the conference. It's proximity was a blessing since the days have been in the low 100s with the early evenings not that much cooler. The restaurant was about a third full so we were able to be quickly seated. The space, with it's bold paintings and gorgeous flower arrangements, had an overall comfortably welcoming vibe. There is also a shaded outdoor patio if al fresco dining is your preference, however, we opted for air conditioning. Mimi had looked over the menu beforehand but I went in not knowing what to expect. We found our tastes perfectly aligned as both of us ordered the same items. We started with their house special cocktail, the Así Sabe México which can be figuratively translated to “a taste of México”. 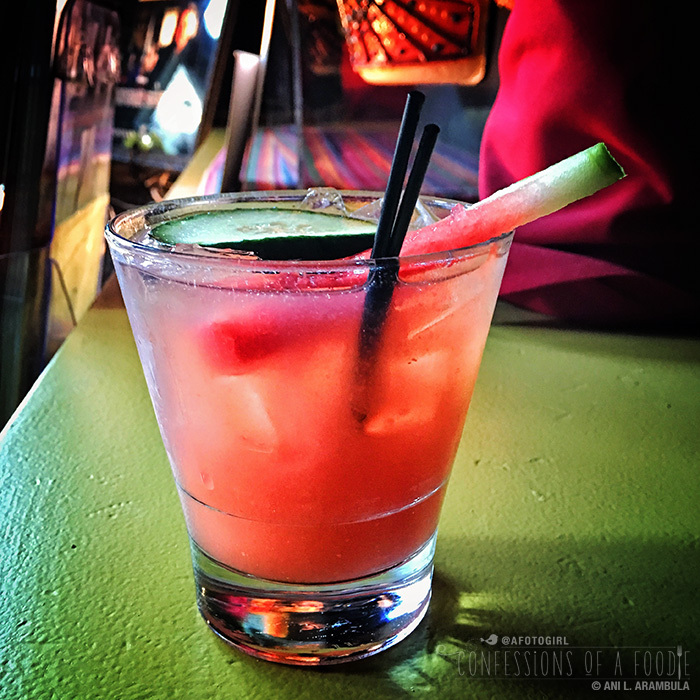 Created by their in-house mixologist, it’s a smooth combination of fresh watermelon, cucumber, lime, tequila, tajín chile on the rim and sells for $9. The menu states that the drink embodies the “true spirit of México” however, Mimi and I both decided to forgo the chile as both of us were afraid it would over power our palates. Well, that’s a half truth. I’m simply a chile wimp. Ok, I admitted it. Moving on. I am a huge molé fan and make a few different kinds myself. However, I’ve never attempted pipian verde which is traditionally made from pepitas (pumpkin seeds) and gets a hit of tang from tomatillos and just a hint of spice from fresh chiles. When I saw Pipian Verde con Chuleta de Puerco (chuleta de puerco is pork chop), I knew I had to try it. 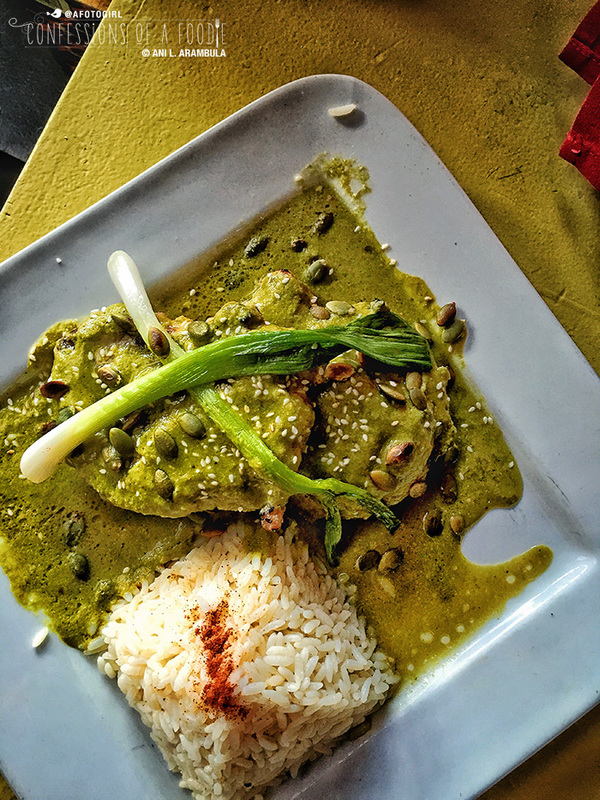 The menu states that it’s a “mole verde made from sesame seed” which, in my experience is used in other kinds of mole, not in pipian verde so I was very curious to try it. The dish was described as being served with cilantro rice and a starter salad. Unfortunately, we never received our starter salad and our waiter was unfamiliar with the description of the dish and didn't seek to rectify the oversight when we inquired about a salad. So, in hindsight, the $23.50 price tag for pork chops and rice wound up feeling a tad high. It's a good thing we loved the dish as much as we did. Mayahuel’s pipian was a little thinner than red mole, however, green mole does tend to be looser than its red counterpart. The first several forkfuls left a distinct tingling sensation front and center, especially on the lips, from the chile but it eventually fell to the back as the well balanced bite finished with a tangy brightness that complimented the perfectly grilled tender, ever-so-slightly pink, pork chops. The side of rice was a delicious way to sop up the sauce, and we used every last bit of grain to do so until nothing was left on our plates. Now that I have closed out five evenings of dinners during my time in Sacramento, I can say assuredly that it has been my favorite entree. But the highlight of the meal was yet to come. Looking over the dessert menu, Mimi and I both zeroed in on one called ‘Imposible’ – heavenly slices of flan atop a slightly spongey, very dark chocolate cake bottom served with fluffy whipped cream garnished with mint and strawberry slices along with toasted walnut pieces for a little crunch. Sometimes I have found flan to be too sweet or soft but this was just sweet enough with the texture of the cake nicely contrasting the texture of the flan. 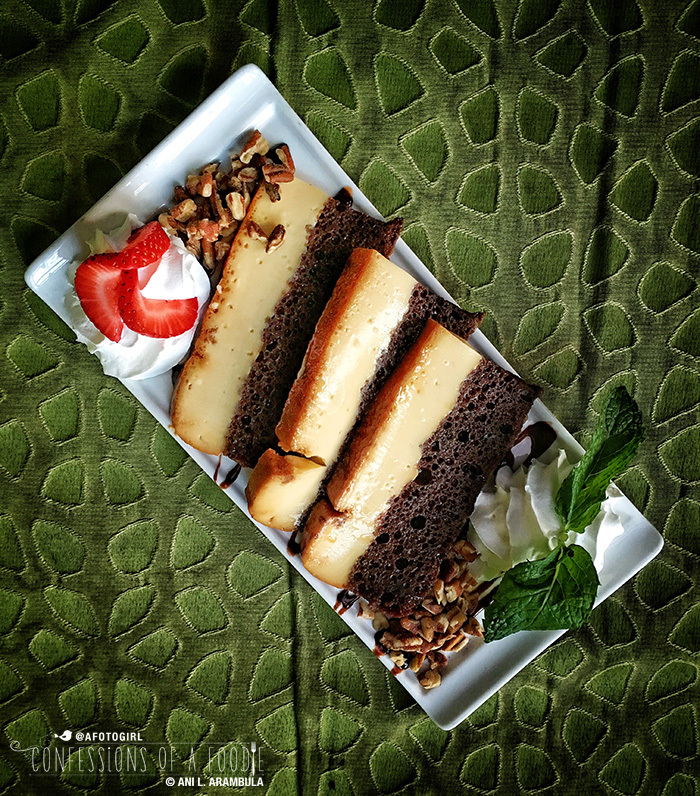 The cake was intensely chocolate, providing the perfect backdrop to the creamy custard. This $9 unique dessert, unlike anything I’ve seen or tasted anywhere, is wildly successful and the perfect ending to a lovely meal. 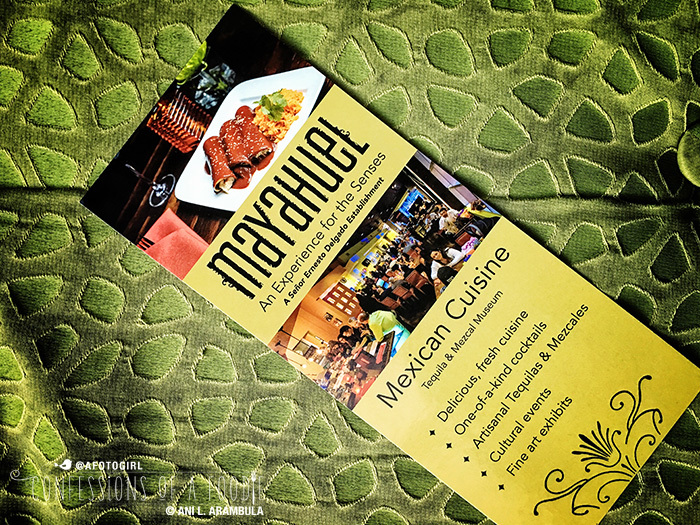 Next time you visit Sacramento, make your way downtown, stroll through Capitol Park, snap a photo of the iconic California Capitol Building and be sure to stop in at Mayahuel for a unique taste of Mexico. Notice: As a Citizen Blogger for the International Food Blogger Conference, I received a reduction in my registration fees in exchange for agreeing to write a minimum number of posts before, during or immediately following the conference, topic to be of my own choosing. This is the first of those posts. As always, all photographs and opinions are wholly my own. You captured our experience beautifully and perfectly! 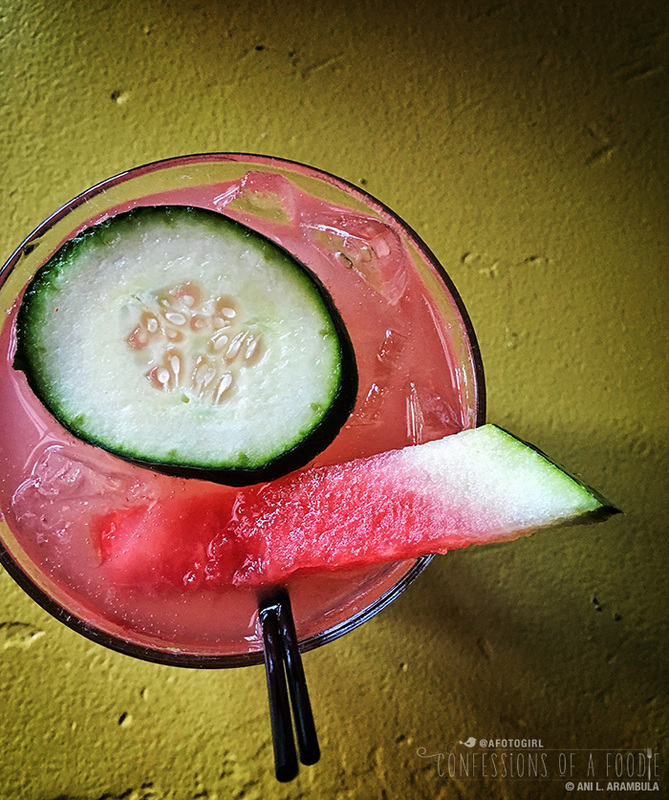 Still dreaming of that watermelon cocktail and hoping to recreate the "Imposible" in my own kitchen. Can't wait to go back here next year - and hopefully we can go together! We stopped by Mayahuel on Sunday evening. We also ordered that cocktail, but with chile. The chile wasn't hot and the flavor pairing was as perfect as could be. I highly recommend it next time. Hopefully next year I'll have a chance to do the Mezcal bar. Nice meeting you, and cheers!